Catgirl Camera Collision Crisis! – Bahala Na! Catgirl Camera Collision Crisis! published on July 24, 2015 Read more posts by the author of Catgirl Camera Collision Crisis!, dbgoodmanNo Comments on Catgirl Camera Collision Crisis! 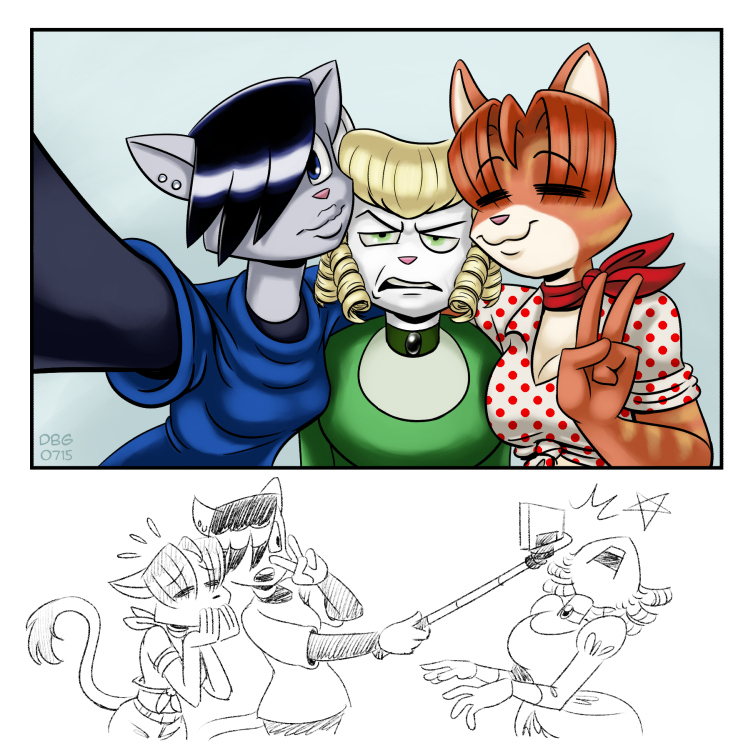 Daffy, Psyche and Ginger pose for a selfie on Daffy’s new phone. Psyche was not impressed by Daffy’s attempt at using a selfie-stick. They’ve changed a little since their first appearance in Catgirl Comicbook Convention Crisis! but I think I’ve settled on their colour schemes now.